Analyze the Mazda CX-5 2018 Philippines through our full review in terms of price, specs, interior, exterior, release date, & performance. 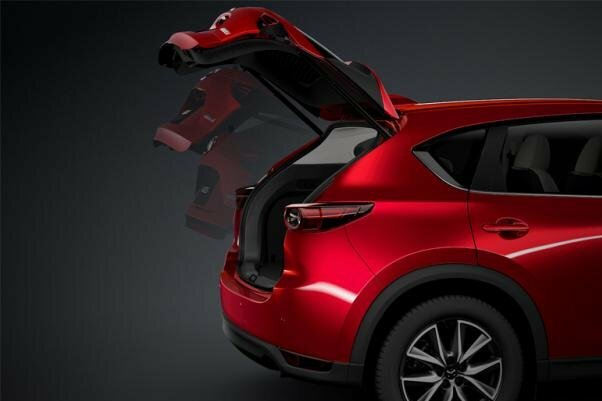 Just introduced back in 2012, the Mazda CX-5 has rapidly risen to become Mazda’s best-seller. This enviable crossover SUV has undergone a multiple refinements and facelifts and the Japanese brand has been incessantly tweaking its formula. Most recently, it has been redesign for 2018 to be more stylish outside as well as quieter and better-looking inside. So, has the new refreshment messing with success left the CX-5 2018 better than before? Find out the answer in our Mazda CX-5 2018 Review by Philkotse.com. 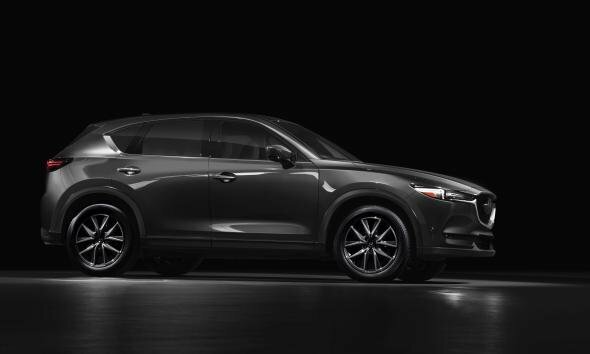 Today, we decide to designate the mid-range Mazda CX-5 2.5 AWD Sport as the honored guess. Now, let’s get started! Inheriting little instincts from its sibling sedans Mazda3 and 6, the Mazda CX-5 2018 exterior is actually more than its symbolic significance. 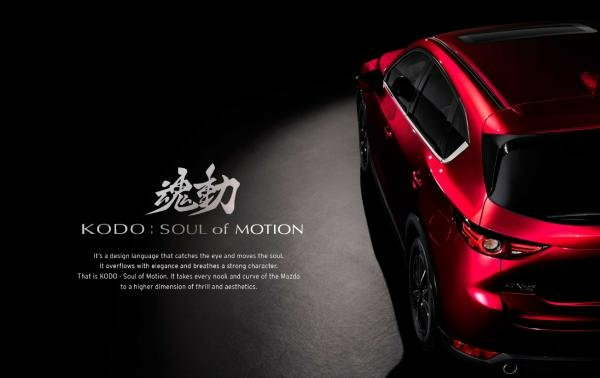 Being the first compact crossover of Mazda to carry the KODO – Soul of Motion design language, our SUV is a harmonious combination of all the nicest components. 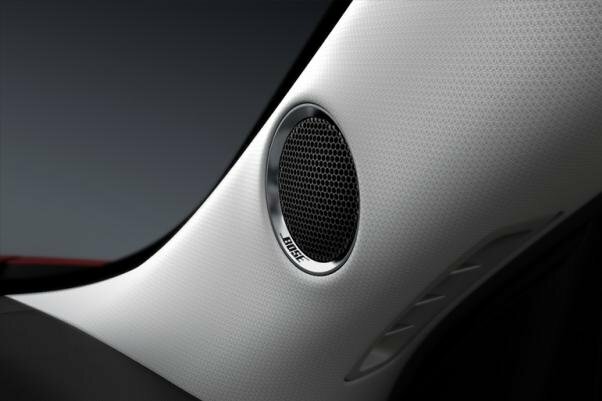 The iconic Mazda’s KODO – Soul of Motion, as it name evokes, is a design language that catches the eyes and moves the soul at once. It breathes a strong character and overflows with elegance. On top of that, it takes every curve and corner of the car to a higher degree of aesthetics and thrill. One by one, the front profile comes adorned with stylish chrome radiator grille outstanding in black background, exhibiting a bold gesture. Flanking that honeycomb grille are adaptive LED headlights with 12-split array. Perhaps this is one of the most noticeable features in the new CX-5 in charge of enhancing visibility at night, besides its artistic aspect. The glare-free High Beams with 12-split LED arrays can switch on and off to automatically control the illumination area and as a result, other commuters will not get dazzled. On the other hand, wide-range Low Beams will light up a wider area at low speeds and the Highway Mode lets you see further when at speed. In truth, the headlight here is not just an aesthetic feature, it’s also about safety. Keeping your gaze at the front end for a while, do you feel the hood is reminiscent of that of the Ford Mustang? OK, now let’s turn the gaze on the side. From the side, you will catch sight of a gap between the hood edge and the grille frame. As a fun comparison, it looks like the car’s brow is furrowed and staring at you. Also, sleek yet aggressive 19-inch alloy wheels embracing 225/55 R19 tires are alluring enough to draw your attention to the side view. 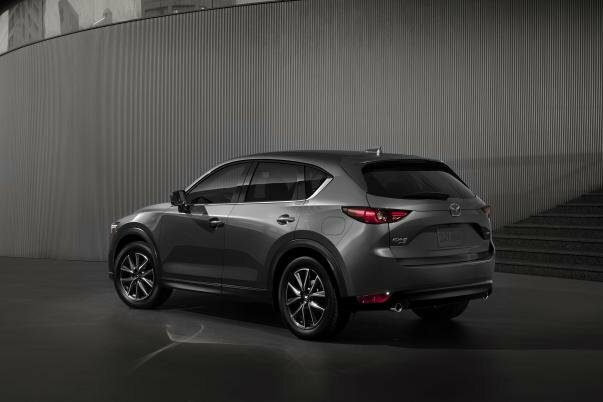 As regards the rear, shark-fin antenna makes the CX-5 top the chart of sporty vehicles. Besides, rear full LED lights come fitted as well. Broadly, the rear somehow manifests a hulking and bulky look, to our eyes. When compared to the overall dimensions of 4,540 mm x 1,840 mm x 1,670 mm (L x W x H), the rear part is a little bit ponderous. To tell the truth, it’s hard to depict how fetching this color is, so let’s think of it as its name exposes. 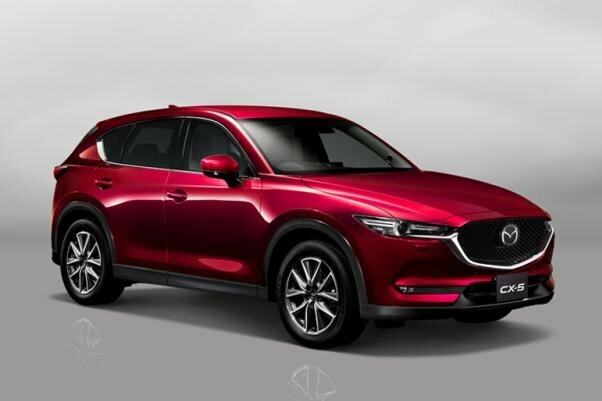 In fact, Mazda has made every effort to create the Soul Red Crystal for years, and now you can admire their fruit in this great crossover: redder, deeper and more radiant. Wearing this coat, the CX-5 will roll way everything, all glances of others and even, trees along with a land of blue skies and sunshine! 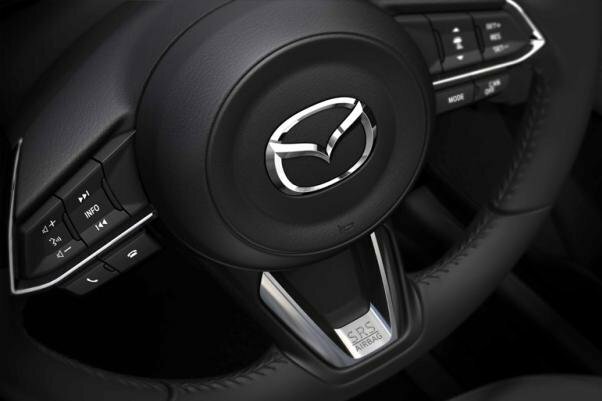 The Mazda CX-5 2018 interior mainly stays frozen comparable to that of a few years ago. 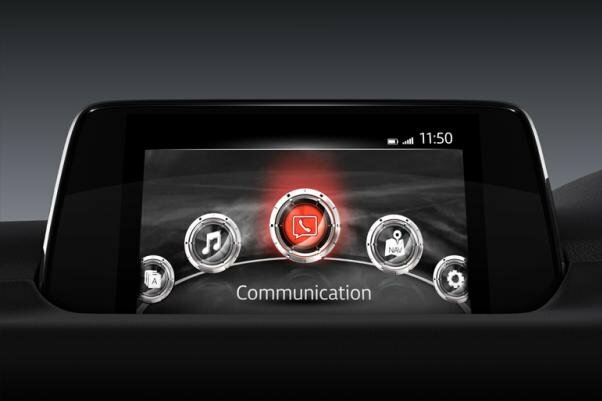 The familiar MZD Connect infotainment system, in spite of being lovely and cutting edge, we have hoped for something new. That said, the cockpit is still one of the best in the segment. 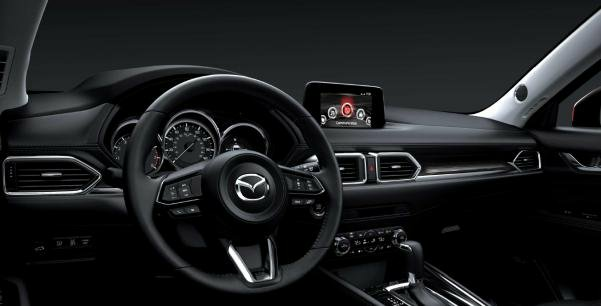 Concerning the MZD Connect, this is Mazda’s all-new infotainment system allowing you to access your music, music streaming and also, social media via a single 7-inch touchscreen located at the center of the dash.As well as that, 10-speaker Bose audio system and voice command for menu switching are also at your fingertips. Further, Aux and USB ports are also served for your convenience. For the 2018, Mazda claims that new OS and more memory are added; however, we still feel the graphics are more old-school than its peers. 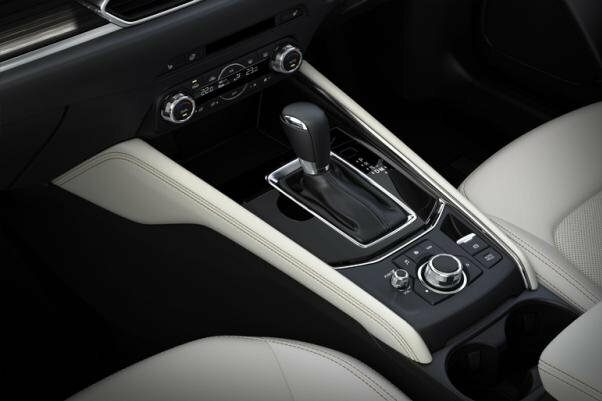 In the AWD Sport trim, the interior looks as premium and glossy as the exterior. Lush dark leather with contrasting stitching is thick on the ground. Plastics are also scattered but they’re top-notch. A wide array of controls such as dual automatic air-conditioning, power windows, and leather-wrapped steering wheel with audio control switches will surely make you feel pleasantly replete. To a greater degree, map reading lamps and illuminated onboard computer are responsible for informing you about any kind of information. It’s worth saying the Mazda CX-5 is one of the most comfortable SUVs in the Philippines. For driver-oriented amenities, everything is now under control. To illustrate, mastering the whole crossover’s functions is now a piece of cake in every respect, from steering wheel buttons to iDrive-ish control knob. The rest of the job, certainly, depends on intuition. What’s more, the all-new CX-5 is the first model to feature lane detection besides blind-spit warning and a heads-up display. Though these are not new at all, you must have to say “whoa!” about its great execution. A rear camera display is likewise furnished. When enclosing our new CX-5 and the first-generation for comparison, without a doubt, the said car is roomier. It offers a commodious two-row cabin which can house up to five people as a group. 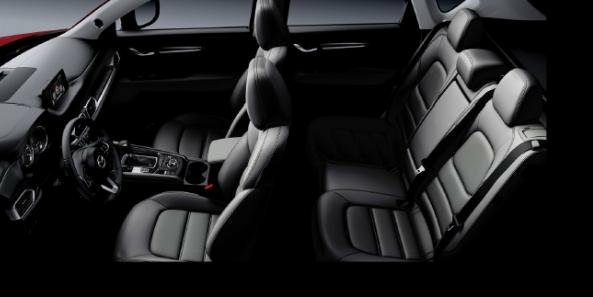 Owing to reclining rear seats, rear occupants will definitely appreciate the comfort they have to offer. 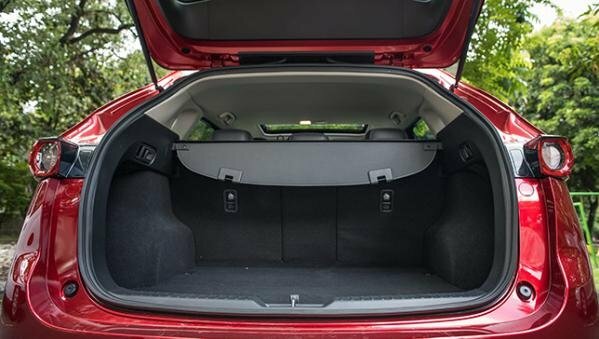 Not only does it exude vast space for passengers, a large boot space for cargo of up to 490 liters is also available with seats down and just by opening the power tailgate. There are too many things to talk about the CX-5’s powertrain. The first one is G-Vectoring Control that uses the engine to improve chassis behavior, then handling and riding comfort. Many of you might not know that this is the world’s first drivetrain system to vary engine torque hinged on steering input, thereby controlling longitudinal and lateral acceleration as well as deceleration forces to optimize vertical load on each wheel. As a result, stability and traction are always kept up on the roads. 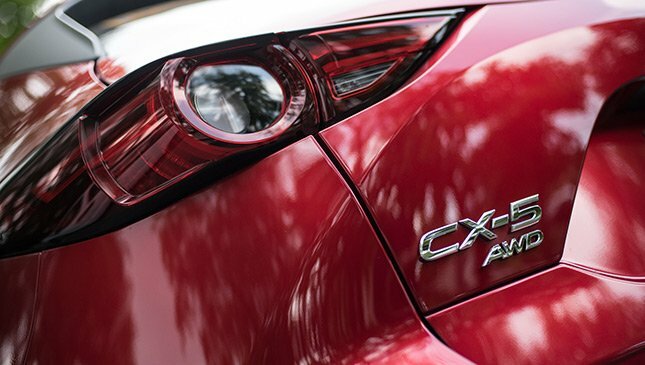 The next thing that actually makes the CX-5 as well as other Mazdas noted is Mazda’s iconic Skyactiv Technology. In the AWD Sport, a 2.5-liter in-line four mill with 190 hp and 251 Nm is set to run the workhorse. 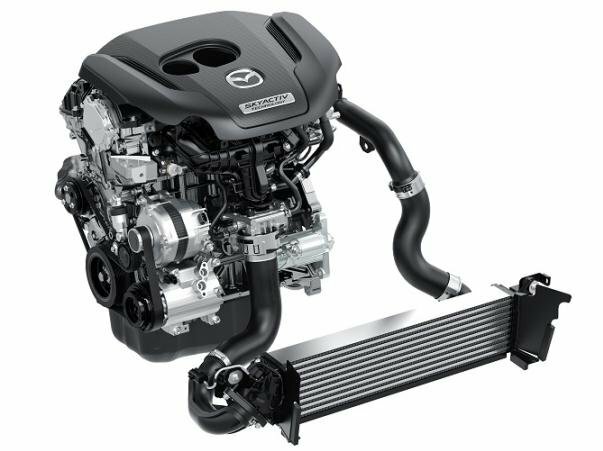 Particularly, it’s complemented by the dynamic Skyactiv technology working in tandem with a 6-speed automatic transmission that boasts an excellent balance between driving pleasure and efficiency. However, perhaps we need more than that, this familiar engine is more sufficient rather than exciting. On the open roads, due to better construction materials, the body is very solid. Hence, the noise, vibration, and harshness (NVH) is remarkably ameliorated. Speaking of the steering, it is natural, linear and consistent. While at slow speed, it feels quick and responsive, at a higher extend, it turns out precise and predictable. The throttle is also perfect with no obvious delay between the engine’s reaction and your foot. In terms of mileage, the CX-5 manages to average 7.58 km/L in urban driving at 12 km/h. With this figure, it deserves to be among top 10 most fuel efficient SUVs that Filipino drivers love. Stopping the CX-5 in an emergency becomes more easily for you owing to ventilated and solid disc brakes in the front and rear wheels respectively. More than that, the braking system also receives a big help of MacPherson strut front suspension to give smoother rides on uneven terrains. Unquestionably, ABS with EBD and Brake Assist cannot be absent from this great SUV which is significantly helpful in utmost emergency conditions. Front and side curtain airbags come standard along with Hill Start Assist. To keep you more protective, the car manufacturer also equips its offering with front and rear seat belts with ELR and pre-tensioners. Moreover, immobilizer and ISOFIX serve as additional qualities. 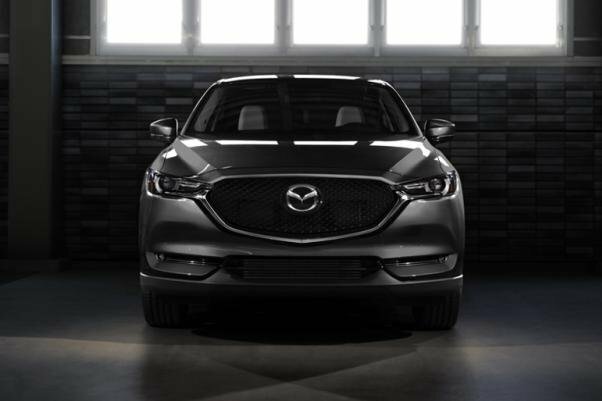 With such desirable peculiarities, the all-new Mazda CX-5 2018 is worth of a higher price tag. In your view, will you spend ₱1,895,000 on this variant? Keep in mind that the said car is a mid-spec trim or in other words, you can go for something cheaper or pricier. In defiance of no words on the all-new Mazda CX-5 2018 release date, it’s believed that the car will hit our shores in two shakes of a lamb's tail after the launch in Malaysia. 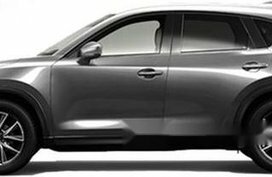 Just wait and see.In near future, expectedly the pricing for this wanted crossover would be slightly cut down since the CX-5 2018 is now being assembled in our neighboring country Malaysia. It goes without saying that bringing in the SUV from Malaysia would be advisable as it could meet the regulations of the ASEAN Free Trade Area, especially in terms of looming vehicular excise taxes. In related manner, if you’re a big fan of Mazda, click here to find out more picks. 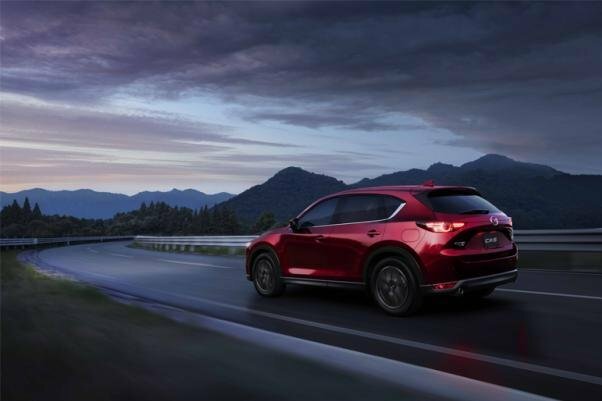 It can be summarized that although the all-new Mazda CX-5 2018 does not own far-reaching changes, we must applaud Mazda’s efforts to better its famed crossover SUV. But come to think of it, the CX-5 seemingly caters to those who are willing to trade several utilities for outer beauty and a premium feel. So, to decide whether it suits you is subject to your own purpose. Besides, if you are considering between the Mazda CX-5 2018 vs. Honda CR-V 2018, a full-scale review for the latter can be found here. 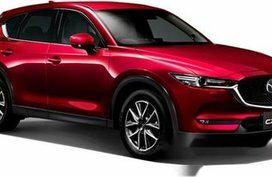 Finally, Philkotse.com entertains the hope that our Mazda CX-5 2018 Review is a worthwhile result that helps you better apprehend the SUV and for a bigger hope, will be a cogent argument to make you take one home. In case you want to learn more about other hit vehicles in the Philippines through a number of our in-depth reviews, please click here.